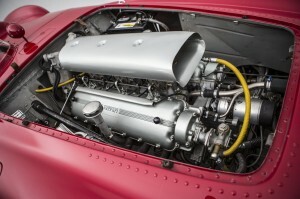 Ferrari 375 mythical Sports Racing car that famously won at the epic 1954 race at Silverstone & participated in the 1954 Mille Miglia, to be auctioned by Bonhams during Goodwood Festival of Speed, 27th June 2014. 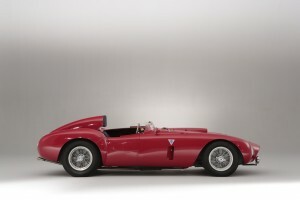 Ferrari 375 mythical sports racing car,from 1954, to be auctioned by Bonhams June 27th 2014,during Goodwood Festival of Speed. Estimate is refer to dept @ Bonhams, car being sold without reserve. 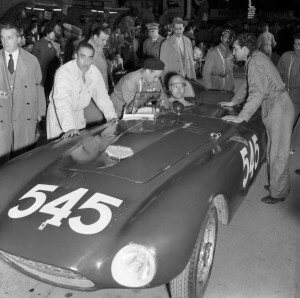 Chassis 0384 AM, Shown here during the epic 1954 Le Mans 24 Hours race with Paolo Marzotto & Umberto Maglioli. Copyright GP Library. Marcel Massini at the wheel of the Ferrari 0384 AM during the epic 1954 Mille Miglia. copyright Marcel Massini. Ferrari 375 Sports Racer to be auctioned by Bohams during the Goodwood Festival of Speed 27th June 2014. Ferrari Chassis no. 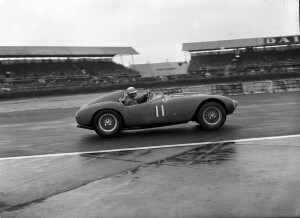 AM0384 driven through Silverstone Paddock,1954, by Ferrari Chief Mechanic Stefano Meazza. Copyright GP Library. Ferrari 375 Sports Racer to be auctioned by Bonhams during Goodwood Festival of Speed 27th June 2014. 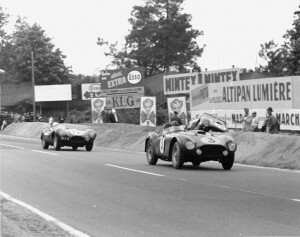 Racing Ace Gonzalez winning with the Chassis no 0384 AM at 1954 Silverstone. The Ferrari 375 Sports Racer to be auctioned by Bonhams at the Goodwood Festival of Speed 27th June 2014. Copyright SPITZLEY Collection. To be sold with No Reserve. 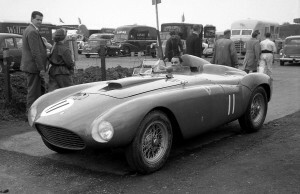 Ferrari 375 Sports Racer Plus. Side view. Car to be auctioned by Bonhams during the Goodwood Festival of Speed, 27th June 2014.